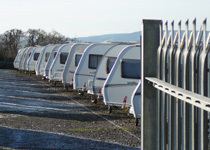 We occasionally have caravans for sale on behalf of our customers or older caravans looking for a good 'retirement' home. Viewing is strictly by prior arrangement only. External dimensions 5.47m x 2.13m. Includes 3-way fridge, Carver 3000 heater, 4 ring gas hob/grill/oven, sink & drainer, toilet/washbasin/shower, awning, aquaroll and other containers, gas bottle and handbook. Well maintained and seems dry and very tidy internally. Sold as seen. No guarantees or warranty. External dimensions 6.2m x 2.13m. End shower. 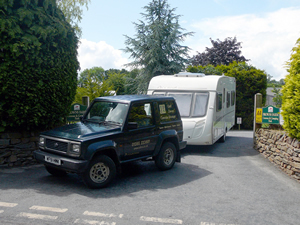 Includes porch awning and range of on-board caravan equipment. Regularly serviced.